Last Saturday was the February 2012 meeting of BayLUG (Bay Area LEGO Users Group) at the Museum of American Heritage in Palo Alto. I wasn’t able to stay for the whole meeting, but I did bring a couple of things I’d been working on – a gas station and the head of Kermit the Frog. I entered the latter in our contest, whose theme was “Movies,” and won the adult category! 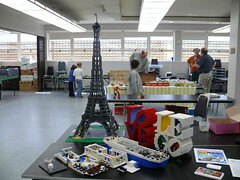 There were lots of members with minifigs, parts, and sets for sale, and a few people bringing their latest projects. For the kids, there was an activity where they could build things to make up a town layout. 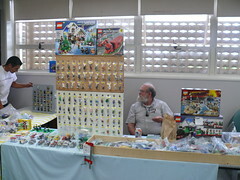 And of course our vendor Angel was there with his bulk LEGO which was as popular as always. 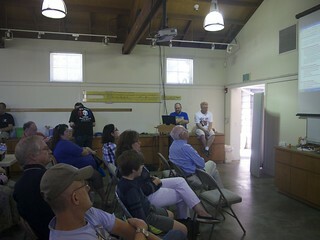 You can see photos of the meeting on my Flickr account. By the way I have a huge backlog of parts to sort. Anyone want to come over and help me work through it? 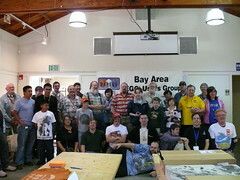 Today we had a meeting of Bay Area LEGO Users Group at Johannes’s church in San Leandro. 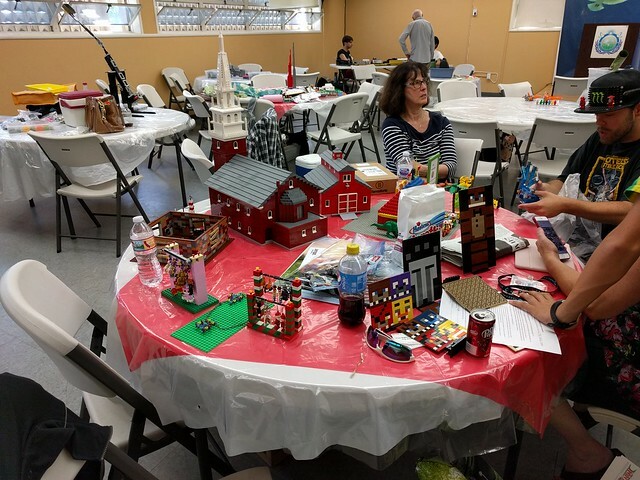 Johannes brought along a great 30″x60″ castle scene, with just about every square inch taken up with minifigs, horses, and other medieval stuff either defending or storming the castle. 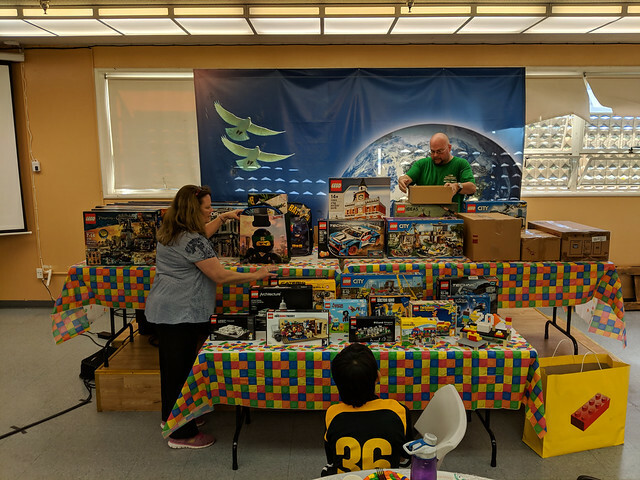 Charles and Adrienne brought some Bionicle models some cars, and checkers/chess sets they’ve been working on, including a chess set for the blind that Charles is donating to a charity auction to benefit Lighthouse for the Blind in San Francisco. Paul brought an “oriental hall” he was working on, and a four story apartment building with a fully detailed interior, as well as some sets for sale. 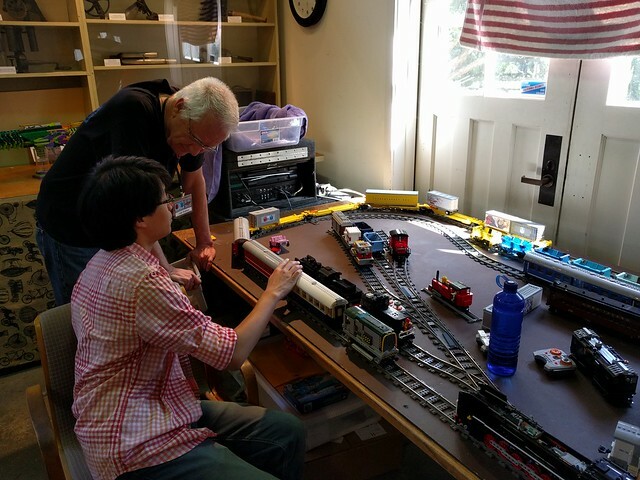 Bruce had his usual minifigs, mini train engines, and jeeps for sale, along with random $1 baggies of parts. We had a great discussion of Mindstorms developments and Maker Faire plans with Steve Putz of Robotics Learning. Maybe we’ll start having more robotics activity in the club…?